Diane Brown, DVM, PhD, Dipl. ACVP, is the Chief Executive Officer and Chief Scientific Officer for the AKC Canine Health Foundation (CHF). She joined CHF in August 2015, and oversees operations and scientific programs from its Raleigh, NC headquarters. Her role is to cultivate and execute the Foundation’s research and education strategy in collaboration with its Board of Directors, Scientific Review Committee, external collaborators, principal investigators and staff to ensure strategic, responsible, and innovative application of donor funds to uphold the Foundation’s Mission to advance canine health. Dr. Brown is a board-certified veterinary clinical pathologist who holds a DVM and PhD in pathology from Colorado State University. As an independent investigator and comparative pathologist, Dr. Brown served as a member of the faculty at Harvard Medical School, as director of the Comparative Clinical Pathology Laboratory at Massachusetts General Hospital, and as consulting pathologist at the University of Colorado. She previously served as Chief Scientific Officer for Morris Animal Foundation, and currently holds an affiliate faculty position in the Department of Molecular and Comparative Pathobiology at Johns Hopkins University School of Medicine. She has held prior affiliate faculty appointments in the veterinary schools at Tufts Cummings School of Veterinary Medicine, Colorado State University and Purdue University. Dr. Brown also brings experience in the corporate world, as former senior pathologist at Eli Lilly and Company. She began her veterinary career as a small animal practitioner prior to beginning her residency and PhD program. She completed an NIH Fellowship in the study of genetic diseases shared by human and veterinary patients. 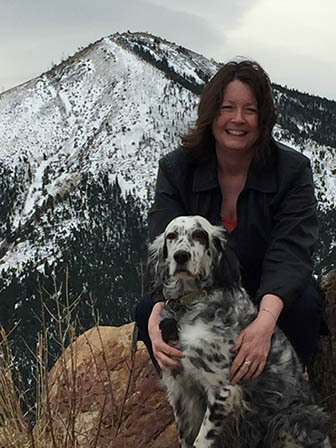 She has served as a board member and volunteer veterinarian for service dogs and worked for several years with a Golden Retriever therapy dog on the inpatient stroke unit at her local hospital. Dr. Brown has a son, Kyle, and enjoys travel, art and music. Read Colorado State University's article Amazing Alumni: Dr. Diane Brown.